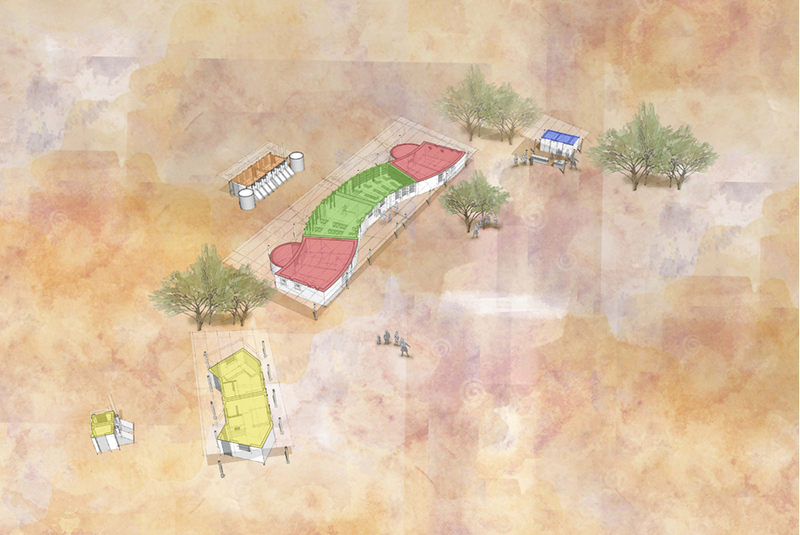 The Nyae-Nyae Village Schools, currently in fund-raising stage, are five critically needed junior primary schools (Grades 1 to 4) for Ju/hoansi San children in the vicinity of Tsumkwe. 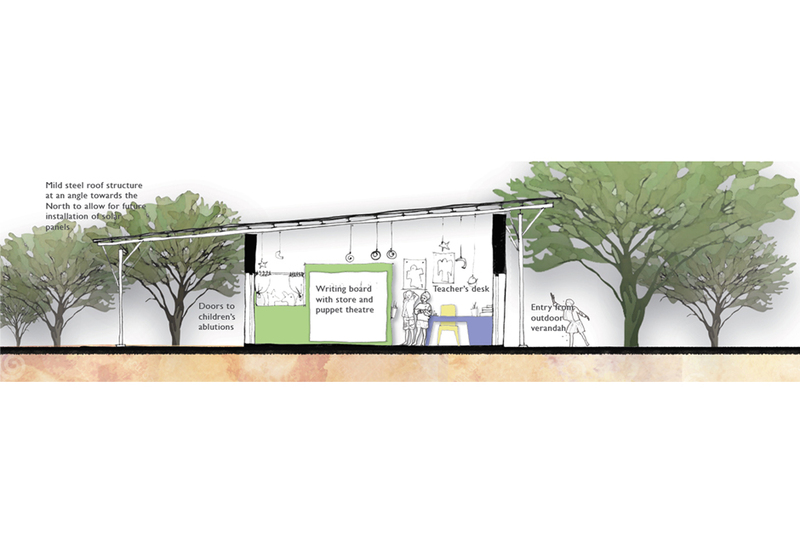 The concept provides for tree-like steel columns supporting rafters for a PV –ready roof to be built by a skilled builder. 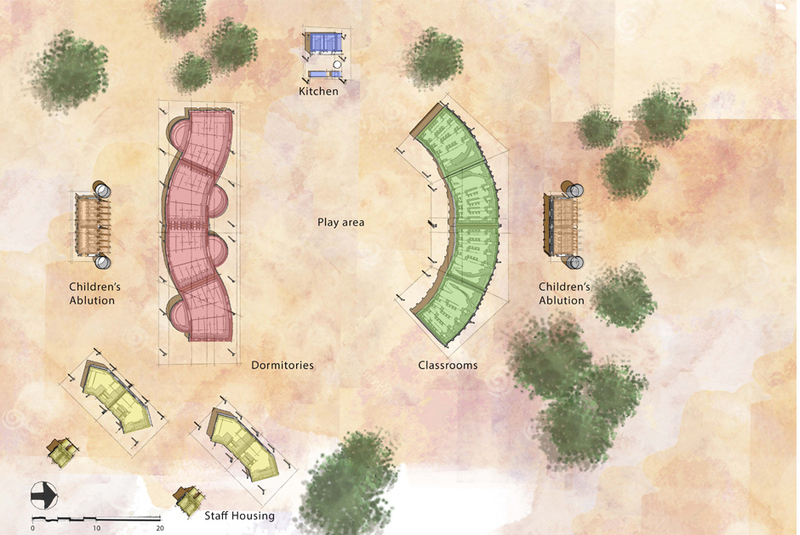 The walls are then to be built by the local community from locally available materials, either limestone, earth-bags or adobe, depending on site. 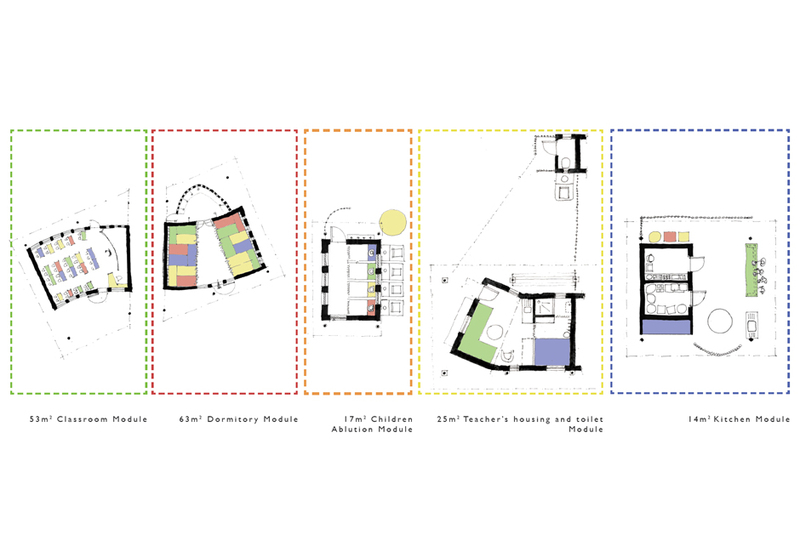 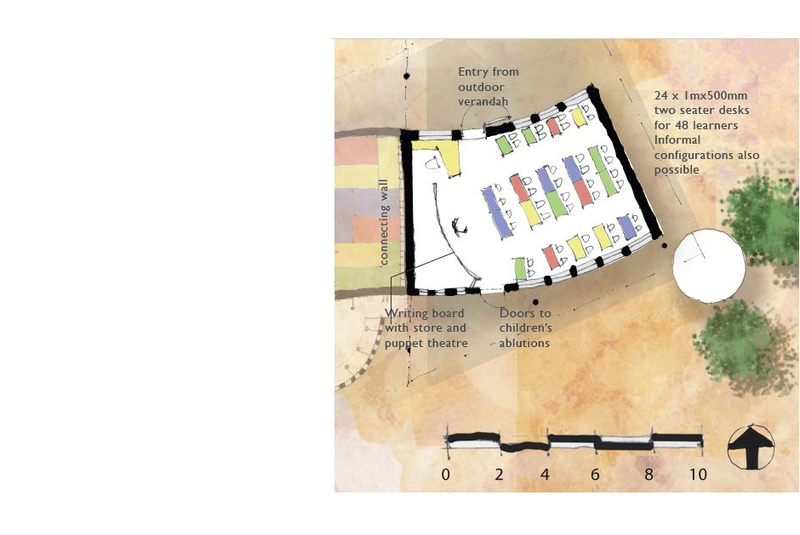 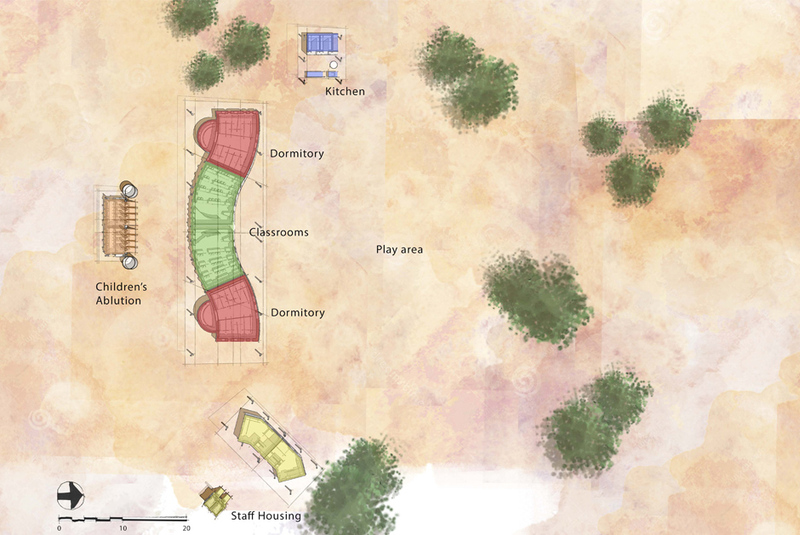 The basic wedge-shaped classroom/ dormitory plan allows for a variety of site organisations, to be decided in consultation with the parents, and to partially re-create the circular nature of San gatherings. 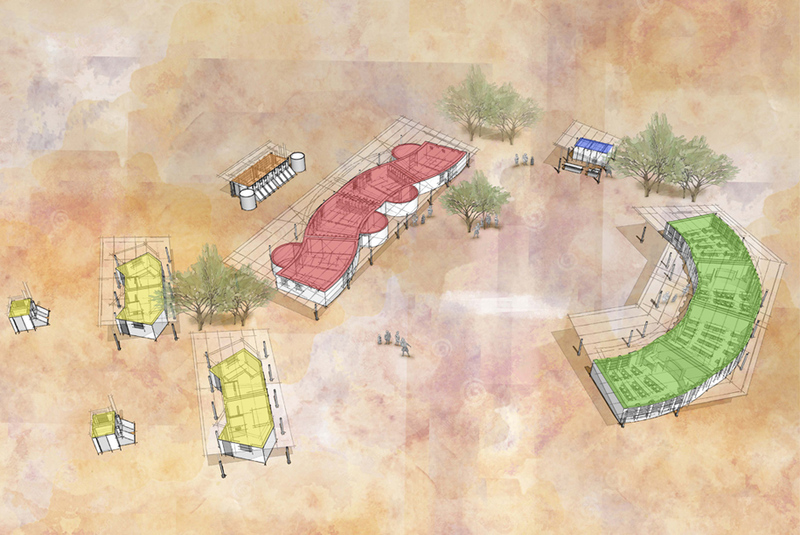 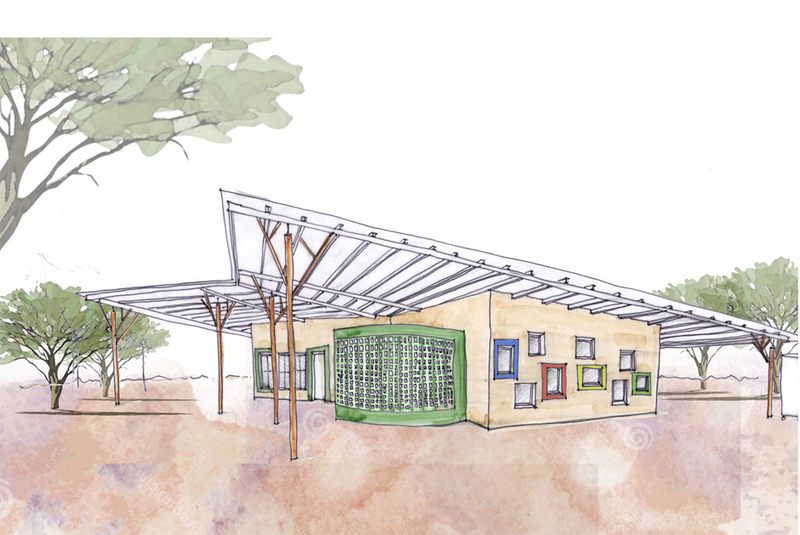 Small staff cabins, an outdoor kitchen and dry sanitation will complete the first phase of basic essentials per school. 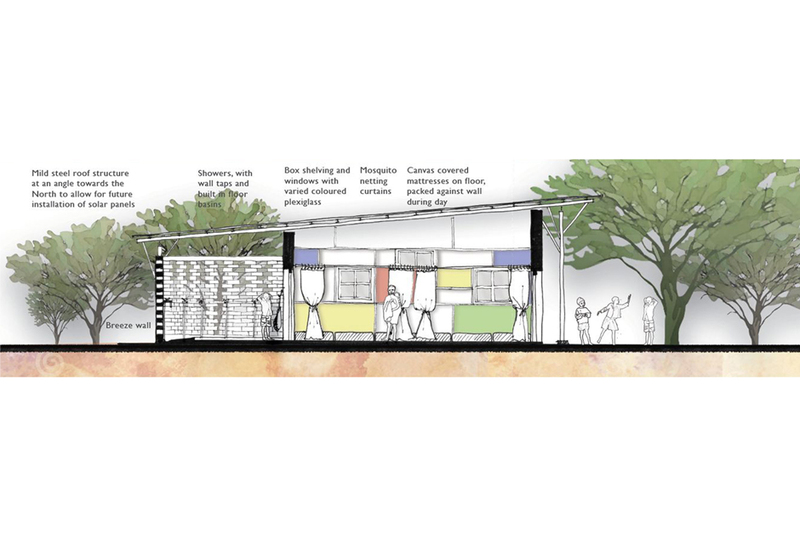 Dormitories are multi-functional, with mattresses on the floor at night providing communal sleeping for small children used to sleeping with their parents, while in the daytime mattresses will be stacked to the side to create open space for other activities. 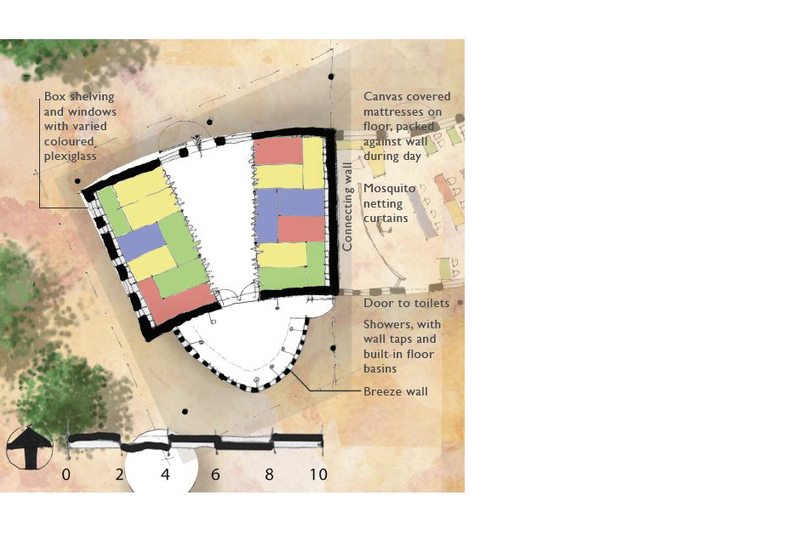 Coloured Perspex window segments in joinery boxes for storage will sit in the end walls, with semi-circular outside showers attached to the dormitories.